This venue in Wakefield has purpose built TREC obstacles to go up, down and over - staircase, inclines, bank, ditch, steps & logs. 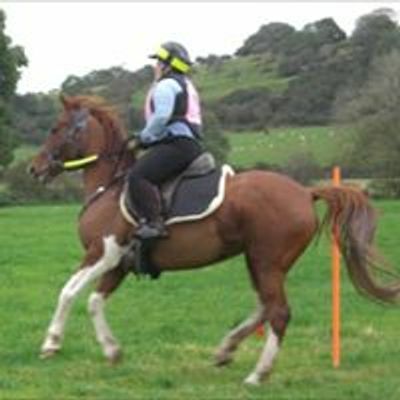 Evie will build her mobile TREC course around the paddocks/arena & also set out a control of paces corridor. New TREC riders will experience the full range of TREC obstacles with chance to try each one a couple of times, then finish the session by putting it all together in a course similar to what you would find in a competition. 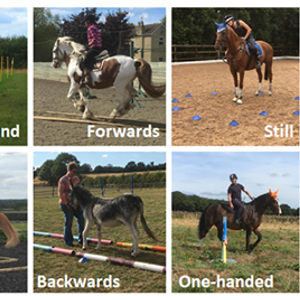 For more advanced TREC riders, there'll be some tricky approaches, combinations and related difficulties so you can work on your control & accuracy before the season gets underway. Lovely pub The Kings Arms is just down the lane within sight of the parking area, open from 12 & welcomes horse riders. Come early or stay later and go for a hack in the local area and/or enjoy a drink or lunch while your horse has a haynet in the horsebox. This is what TREC is all about - equestrian tourism. Have fun, learn new skills & enjoy the local area too. If 13th fills up, I'll repeat the clinic again on 14th. £10 discount for ROR NE members.